If you're going to be involved in a 3-3 then Liverpool fans know it's better to go 3 behind and then come back. But tonight, the reds powered into a stunning 3-0 half time lead before Sevilla came out in the second half and Alberto Moreno has his first bad game of the season. Possibly not surprising for the young man who became a father on Saturday and was facing, yet again, his old club. 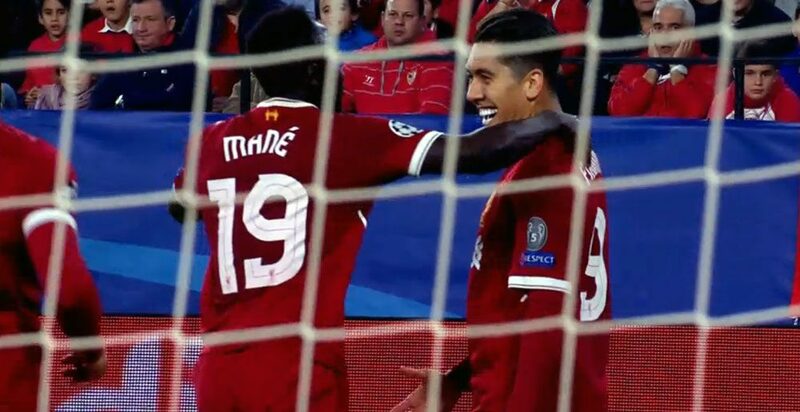 Firmino, Mane, Firmino again scored the three goals that hushed the home stadium and had Liverpool fans thinking of putting their feet up in the next game against Spartak Moscow. 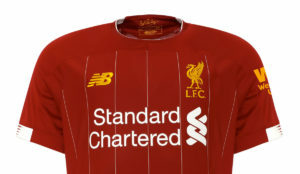 Don't be silly - we're Liverpool remember. He conceded the free kick by which Sevilla scored their first, and then a penalty for them to score a second. 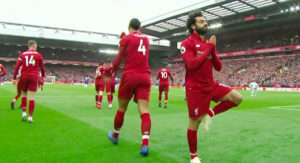 Jurgen Klopp replaced the player with James Milner, but the Spanish side equalised in the third minute of injury time at the end of the game. Liverpool continue to lead Group E but this is a draw that feels a bit like a defeat. 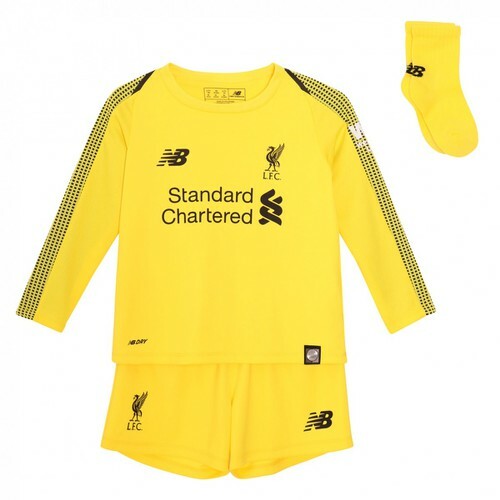 Klopp made two changes to the Liverpool side. Joe Gomez was in for Trent Alexander-Arnold and in came Loris Karius for Simon Mignolet. The reds raced out of the blocks and in the 88th second of the game were 1-0 up. Coutinho's corner was headed on by Wijnaldum and Firmino was near the back post ready to smash in the shot. In the 20th minute Sevilla had a glorious chance to equalise - but Loris Karius had a strong hand and tipped a shot from Ben Yedder onto the post. Moments later Sevilla should have scored again but their chance squeezed past the left hand post. Almost immediately the reds went up the other end of the pitch and won themselves a corner. This time Firmino flicked the ball on and Mane with a delicious cushioned header made it 2-0. 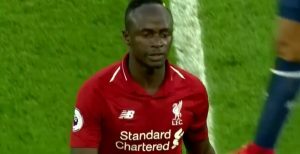 Salah was trying to get his name on the scoresheet but just before half time - Mane powered forward. His shot was pushed away by the keeper and Firmino with an open goal at his disposal even turned away whilst he fired in the goal. 3-0 at half time - the home fans were not happy. Sevilla came out the second half like a different side. Much more like the team who haven't lost inside their own stadium for a full year. 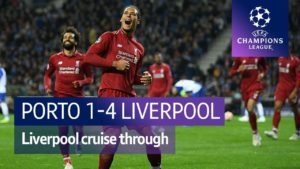 The reds midfield was doing nothing in the second half - Henderson and Wijnaldum were anonymous and Sevilla constantly came at the reds defence. Moreno, already on a yellow, gave away a free kick at the edge of the box - and the excellent Ever Banega found the head of Ben Yedder who grabbed one back. On the hour - Sevilla won a fairly soft penalty. Moreno, unfortunately, was the Liverpool man involved who caught Banega's foot as he tried to deal with the two players surrounding him. Ben Yedder's first penalty went in, but he had to retake it. He put the second in the opposite corner. 3-2 - game on. Klopp brought on Milner and Emre Can for Moreno and Coutinho and it did settle the reds. Salah had a glorious chance to make it 4 - as did Emre Can but neither managed to put daylight between the two sides. Eventually, in the 3rd minute of injury time Sevilla won a corner and when it landed in the middle it wasn't cleared and Pizarro poked the ball past an unsighted Karius. Liverpool still lead Group E and the two sides have played 2 entertaining draws in this competition. 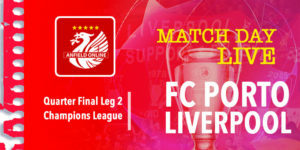 But the reds must now make sure they aren't beaten by Spartak Moscow at Anfield if they want to ensure qualification to the next round. 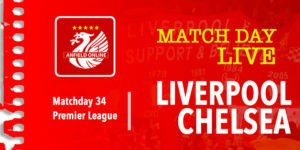 Next up for the reds is Chelsea at home.